We are introducing a revolutionary laser that is helping our patients get results in as little as one treatment. It’s no secret that we all dream of smooth, clear, glowing, and healthy skin. Unfortunately the reality can often feel much more bleak if you’re plagued with stubborn, acne scars, age spots, hyperpigmentation, fine lines or wrinkles. Lucky for you, your dreams can become your reality. Put an end to your frustrating and constant battle with your skin with the PicoWay Resolve Treatment. Our aesthetics patients are absolutely raving about the results they’re seeing from the Picoway Resolve. In 45 minute treatments, with little to no downtime, our patients experience significant improvements in acne scarring and dramatic reduction in the appearance of fine lines and wrinkles. The Picoway treatments can also have a dramatic impact on a range of benign pigmented lesions, with flexibility in depth and spot size. - Noelle Cesario, LifeScape Premier Aesthetician. The treatment is gentle, effective, and truly makes a difference in the look and feel of your skin. We break down everything you need to know about starting your Picoway Resolve treatment to remove unwanted spots and fine lines. The PicoWay Resolve Treatment uses a unique and effective laser referred to as a ‘picosecond laser’. Unlike other laser treatments, the picosecond laser is designed to work from “the inside out”. This particular treatment method allows us to remove unwanted texture, pigmentation, or wrinkles by penetrating deep into your skin without disrupting the top layer of your skin. Here’s why this laser is our aesthetician’s number one choice! Repairs acne scars and wrinkles. The unique approach of PicoWay Resolve actually builds new collagen and elastin, repairing acne scars and wrinkles. In short 45 minute treatment sessions, the PicoWay Resolve laser transforms skin while leaving the epidermis intact. So, you can get back to your life quickly, and without significant side effects. Little to no risk of further skin damage. Most treatments use slower, nanosecond pulse lasers causing more hyperpigmentation or scarring, while Picoway uses ultra-short pulses. These pulses enable the strong photoacoustic impact needed to effectively break apart pigment particles (like in scars, or hyperpigmentation spots) without overheating surrounding skin tissues. This significantly reduces your risk of experiencing further skin damage or side effects from your laser treatment. This also means that this treatment is good for patients of all ranges of skin color, from the lightest to the darkest with minimal risk. Less follow up care needed. This treatment is so gentle that you may not need very much follow up care. This helps to reduce your overall cost of treatment and total time spent to achieve the results you set out for. At LifeScape Premier, we are offering single treatments of the PicoWay Resolve system. We are so excited to share this incredibly innovative laser treatment with you, and we think you’ll be amazed at the results. If you’re ready to gain more confidence this spring by decreasing visible acne scars, hyperpigmentation, and reducing fine lines and wrinkles, then book an appointment for a PicoWay Resolve Treatment today! Are you ready to say goodbye to acne scars, pigmentation, or unwanted fine lines and wrinkles? 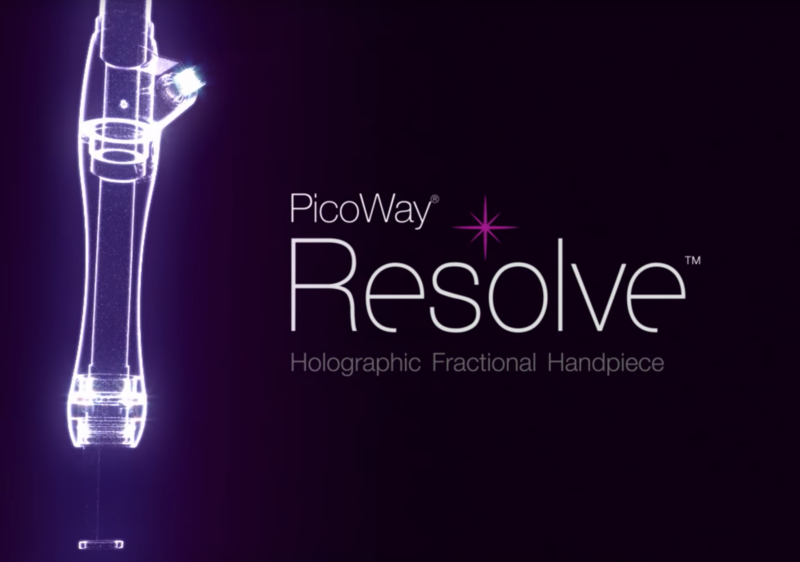 Book a PicoWay Resolve Treatment today!